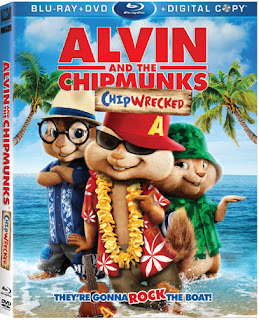 In Alvin and the Chipmunks: Chipwrecked, the Chipmunks and the Chipettes find themselves on a family vacation with Dave aboard a cruise ship. The Chipmunks and the Chipettes quickly find themselves causing raucous to the other passengers, which Dave has to amend immediately by setting up a dinner with the Captain. Before he leaves for his dinner, Dave receives a gift from Theodore, a macaroni necklace that he made for him. With the release of Alvin and the Chipmunks: Chipwrecked on DVD and Blu-ray on March 27th, we will look at some other crafty ideas that parents can enjoy making with their mini ‘munks, such as origami, home-made play dough and soap bars. Origami, the art of making different designs through paper folding, is a simple and inexpensive way to spend time with your children, without the need of any gadgets. All you need is paper and you’re all set. You can make simple designs such as a plane or a dog face by simply making a few folds. Once you’ve mastered the more simple examples, you and your young one can move on to the more complex origami, like the crane. 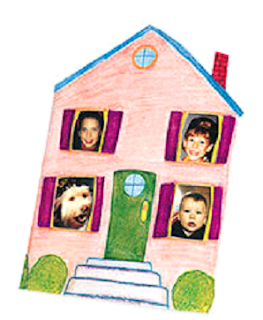 Instead of buying mom or dad a cookie-cutter card from the store, why not make a personalized homemade card that includes photos of their favorite faces. This easy to make craft is perfect for any occasion such as Mother’s Day, Father’s Day, birthdays or even just to tell them you love them. 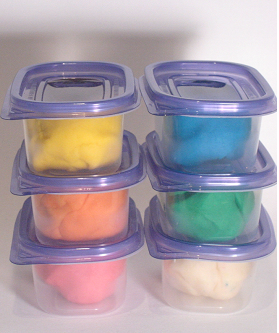 Homemade play dough is easy to make and is relatively inexpensive – all you need for the most part are some salt, water, flour and food dye to jazz up the dough. Young children can do it by themselves though adult supervision is recommended. The dough-making process takes a mere 15-minutes and you get comparable results with those that are store-bought. Soap bars are the perfect craft to do with any child of any age. They make for a fun project and can be given as gifts to moms, grandma or teachers. They’re also fun to use in the bath! Children can mold designs of their favorite character or animal and make colorful patterns. Though it is a homemade craft, certain soap recipes call for the use of a stove and thereby adult supervision is required. Boys and girls of any age would have fun making tie-dyed shirts. It can easily be done at home with a few supplies or be part of an art project in school. You can take any plain boring white shirt and add colorful designs to it by simply tying the shirt in various knots and dipping it into dye. Not only is it a fun craft but now you also have a brand new summer shirt to enjoy. Where to purchase: You are able to purchase from Amazon and local retailers starting March 27, 2012 for $19.99. You are also able to pre-order on Amazon . You can show some love by liking Fox Home Entertainment on Twitter and on Facebook.